Testimonies from the March for Life 2017- Washington, D.C.
Johnson County Right to Life was pleased to sponsor three students to attend the National March for Life in Washington, D.C. in January. 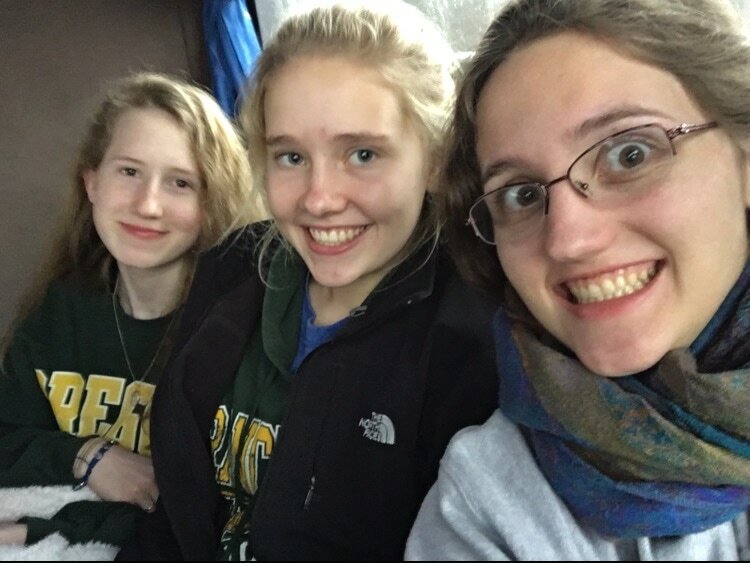 Read their testimonies and view pictures below. 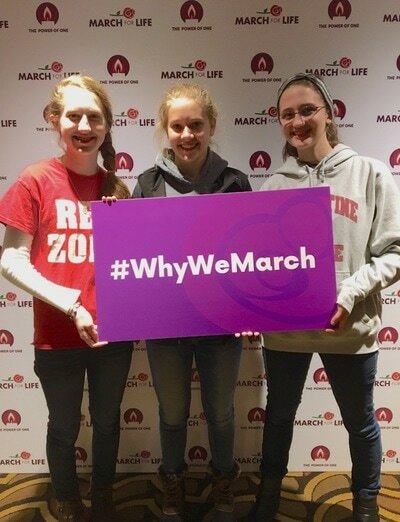 ​This year I was given the opportunity to go on the March for Life pilgrimage to Washington D.C. with the Diocese of Davenport for the fourth year in a row. This year, Johnson County Right to Life sponsored my trip and I am very grateful to that group and all they do for the unborn! The March for Life is always an amazing experience for me, and offers excellent opportunities for prayer and sacrifice, and this year was no exception! This year I had the privilege of meeting Abby Johnson, founder of the organization "And Then There Were None" and Senator Joni Ernst who did a "Meet n' Greet" with several groups from Iowa before the March. Visiting the Holocaust Museum has always been a haunting, painful, and intense, yet powerful experience. It's disturbing to explore the parallels between the holocaust and abortion. The holocaust was only made possible because of the dehumanization of Jews and others killed during the war and similarly abortion is made possible due to the dehumanization of the child in the womb. I have never left that museum without having been touched by the sorrow and the pain that still lingers there, because in a way it's a reminder of the sorrow and pain that is still being inflicted on the men, women and children by the horrors of abortion. Going to the Basilica of the National Shrine of the Immaculate Conception is when the sheer number of people attending starts to hit you, and that's just for the opening Mass, which is always stunning! Some of us in our group went to the Pre-March rally which was an awesome experience! For the first time in history, a vice-president attended and addressed the marchers and it's just really cool being there at a moment that you know history is going to remember! There were many other amazing speakers at the rally, and the music was pretty great too! It's just so inspirational, and to be able to share these moments with some of my best friends just made it even better! It's amazing to see so many different people from different walks of life all marching for the same purpose. This year it especially struck me how inspiring it is that we can all still come together peacefully as individuals and become united as a whole, fighting for a common good, despite all the anger and frustration and tension that has been poisoning America over the last couple of months. Once you start marching, it's unfortunately easy to forget why you're marching and just focus on not getting separated from your group or pay more attention to your aching feet rather than to the messages on the signs people are carrying. But then something calls you back, like the beautiful sound of the rosary being prayed aloud, or the sight of a boy your age marching on crutches. It makes you think, "Why am I here?" 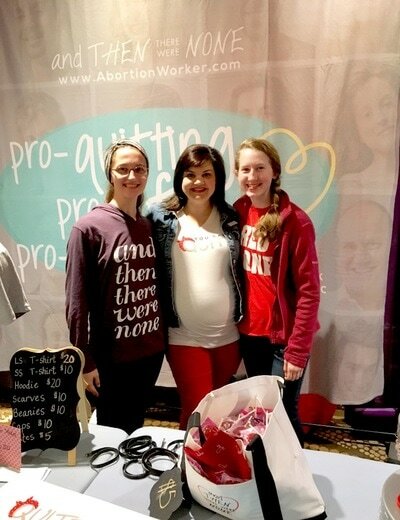 For me, I was there to stand up for those who are too weak, or too afraid to stand for themselves; not just for the unborn children, but for their mothers and fathers, for those who work in the abortion clinics and the doctors who perform the abortions. I'm there to pray for those who maybe don't think they need prayers. I'm there because I believe that all life has dignity and value, and that everyone deserves a chance to make something of the life God has given them. 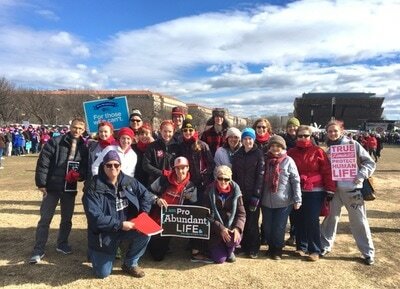 ​This is the third March for Life I have attended, and there was definitely something different about this one. There was a renewed sense of hope and confidence in everyone there; a feeling that the end was in sight. Hearing all of the amazing speakers at the pre-march rally, including vice president Mike Pence, boosted this feeling even more. It was amazing to see all of the people that participated, this year’s march being one of the most heavily attended in its 44-year history. Seeing so many other people there was very inspiring, and there was a strong sense of community and purpose. Personally, I felt very invigorated in my faith throughout the whole thing. Quite a few of my friends attended with our group, and it was a great experience to march with them. 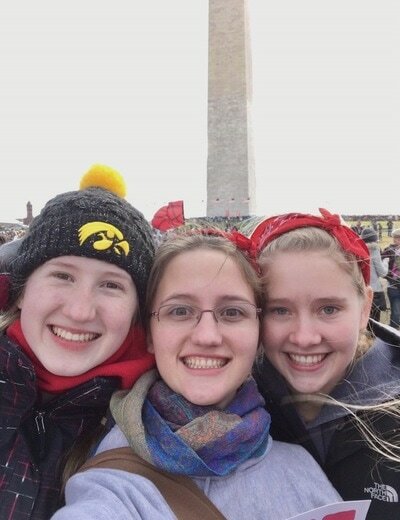 I would definitely go on the March for Life again, but hopefully, the next one will be a celebration march. Thank you again Johnson County Right to Life for supporting my journey on the March for Life. 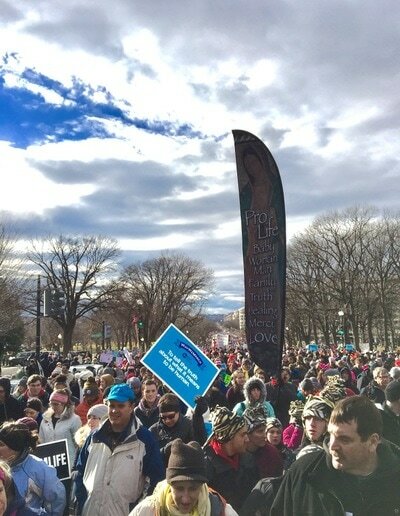 Participating in the March for Life was an absolutely amazing experience! The theme was "The Power of One" and I am so grateful for the opportunity to add my voice to something so big, and to do my part in trying to end abortion. Marching through Washington D.C. with hundreds of thousands of people, all with the same purpose, was really special. I hope that I will continue to be able to be a part of it as long as it is held - even as we work and pray for the day when it will not be necessary. In addition to the March itself, we visited the Holocaust museum, met Iowa State Senator Joni Ernst, and heard Vice President Mike Pence speak. I would like to thank Johnson County Right to Life for sponsoring me on this trip and giving me such a great experience!